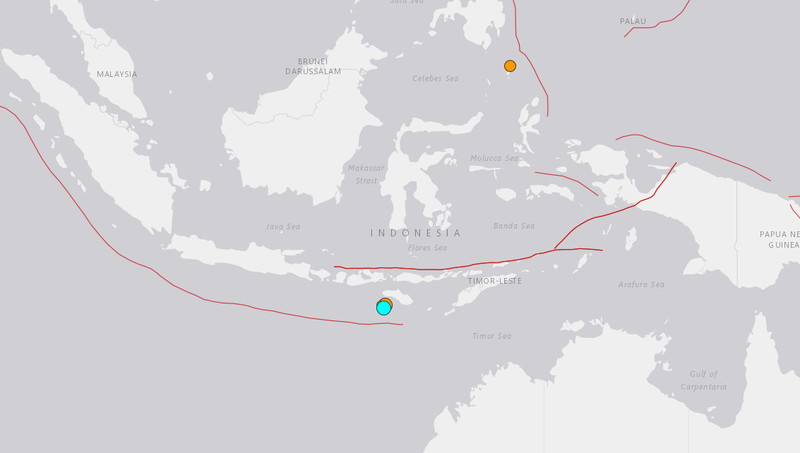 According to USGC there has been a powerful 6.4R at the location 85km from Bogorawatu in Indonesia. The large Indonesian island is home to almost 1.4 million people and is located in the Lesser Sunda island chain. There were no immediate tsunami warnings or reports of damage or casualties from the earthquake. The initial quake hit a depth of 16 miles and hit 136 miles south of Raba in the east of the island. Raba, in the east of Sumbawa island, forms part of West Nusa Tenggara province. Due to the depth and position of the first quake's epicentre, the effects would have been felt near to the surface. More than 100 people died when an earthquake devastated the tourist island of Lombok near Bali in August. In September an earthquake hit the area around Palu on the island of Sulawesi in northern Indonesia. The 7.5-magnitude earthquake spawned a tsunami and together the two natural disasters devastated the region reducing large parts of Palu and other towns to rubble.